Off Road Lighting: Jeep, 4x4, Car, ATV, UTV, SUV, Truck, Trailer, Forklift, Train, Boat, Bus, Outdoor lighting,Back up Light etc. Other Lighting: Excavator, Dozer, Road Roller, Crane, Tractor, Harvester, Grain Drill, Snowplow, Fire engine, Rescue Vehicle, Mining Lighting, Construction Lighting, etc. got these installed professionally, the person who installed them said everything was there and it only took 15 mins to hook them up to my high beam switch. this makes a huge difference here in AK where the moose like to dart across the road. 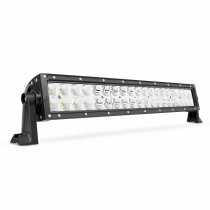 this light will illuminate both the sides of the road as well as front. For this money are you kidding wow. Ordered this on Jan 2nd and installed about a week later. Super bright pretty badass light. 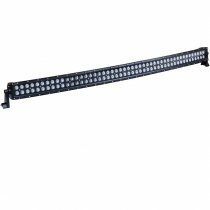 Problem is, on April 4th, the entire right half of the light bar quit working. I certainly expected it to last longer than that. First things first, this light bar DOES work. It throws light, just as you would expect. That's about as much good as I can say about it. 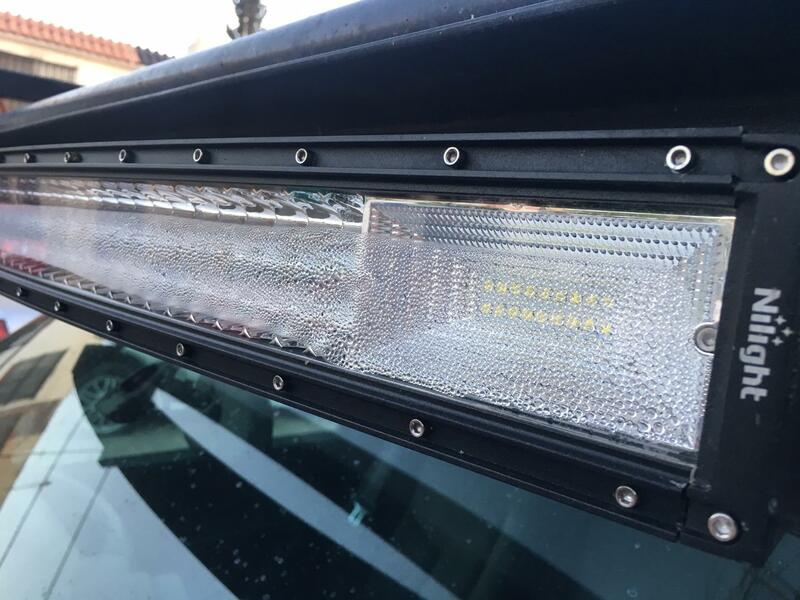 However, it is clearly NOT a 72W light bar as claimed. The amount of light thrown was CLEARLY not in the ballpark of what 72W would produce, so I did some measurements... at 13.9V, this draws 1.49 amps, which means that in actuality, it's a 21W light bar - less than 1/3rd of what is claimed! The build quality is also quite questionable - a good number of the LEDs are VERY off-center in the reflectors, detracting from the projection pattern. On a good note, the clamps are nice and solid. 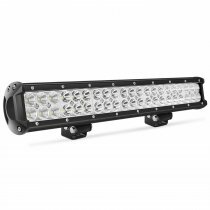 Now, if you're fine with a 21 watt light bar, that's fine, and this is very inexpensive. Just don't count on this being terribly bright, reaching terribly far, or being waterproof. Perfect fit and very bright!!! I have two of these light bars one works perfect and the other has a problem... Only half of it last lights up. The one that works is very bright. 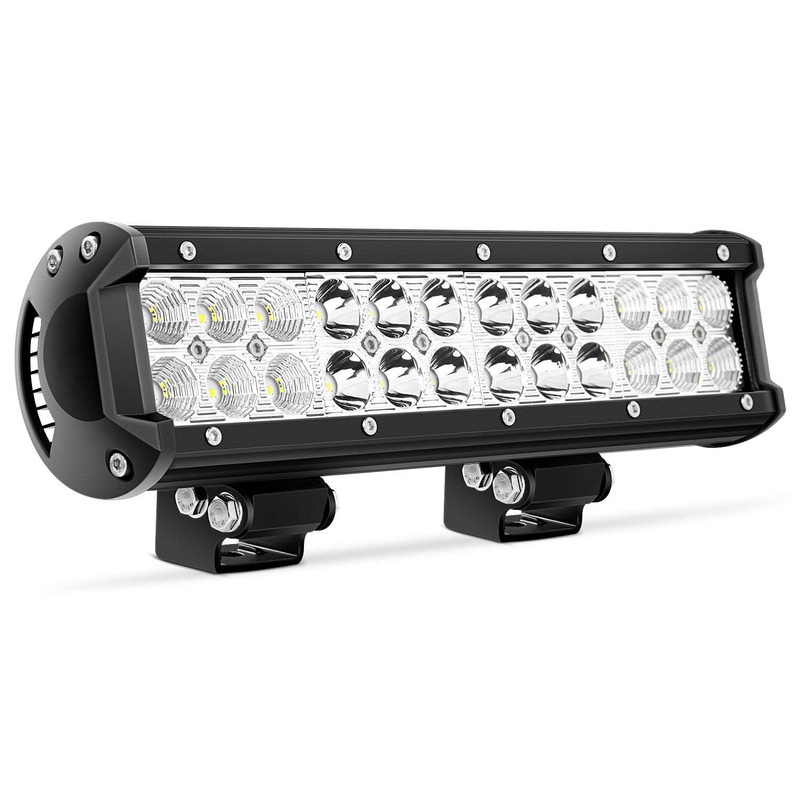 These lights are bright and worked perfect for my crappie fishing boat! 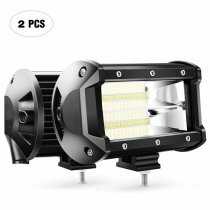 Phenomenal light output for the size and price. Fairly easy to install in my 2012 Silverado. 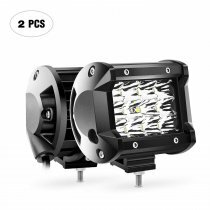 The light is sturdy and well made and the included mounting brackets are solid. Glad I realized it doesn't come with the harness and added the appropriate one to my order. No complaints here. I will definitely look to Nilight again. Una barra súper que maravillosa lo que estaba buscando algo diferente. 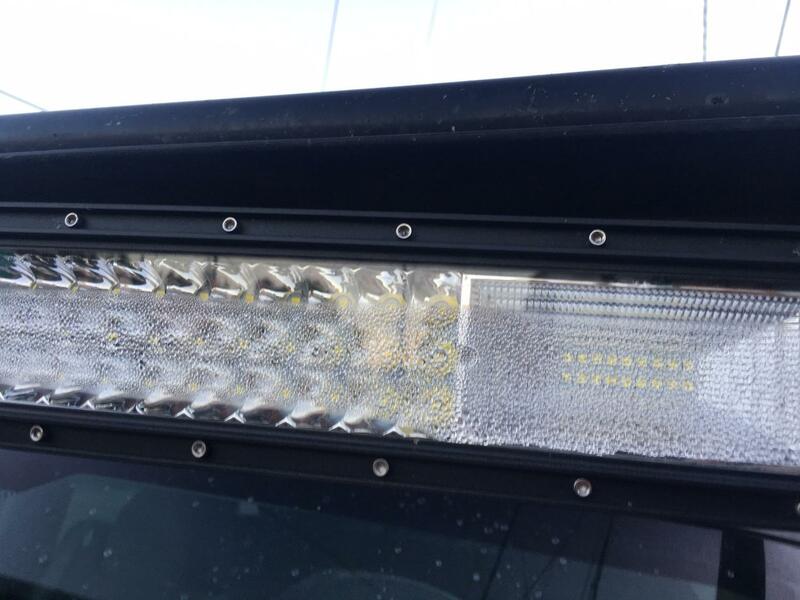 Light bar is awesome, light is great, no complain on that part, however, after a couple of months, i can tell is no ip67 degree of water protection, every rainy/washing day, moisture get inside the light bar more and more, as you can see in the pictures.